R95X 16354 – 65% cotton (CO), 17% polyester (PL), 8% viscose (VI), 8% nylon (PA) and 2% matal fibre (ME). 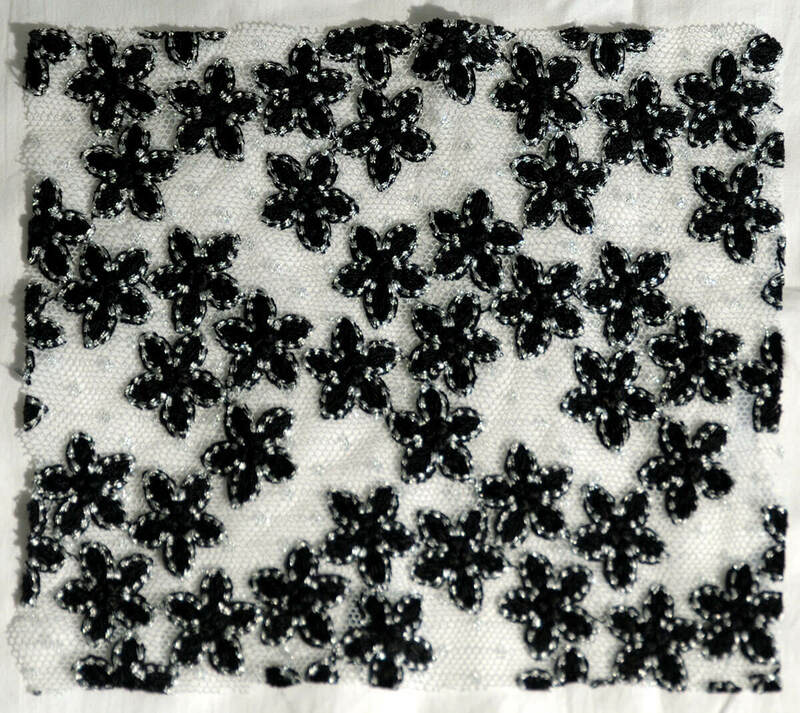 Lurex lace. Height: cm 126,90.